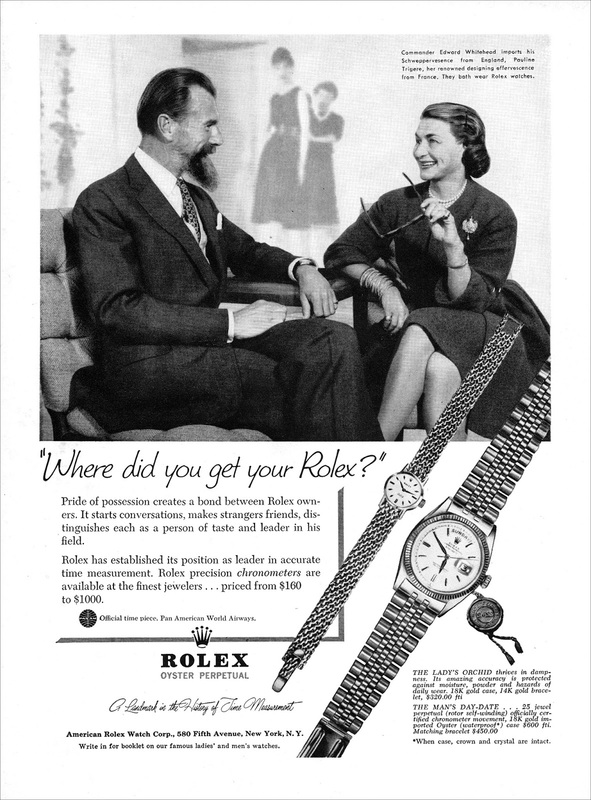 The 1959 Rolex Magazine ad pictured below showcases two really successful and iconic celebrities. The first is Commander Whitehead, who built the Schweppes brand, and the second is fashion designer, Pauline Trigere. Labels: Commander White, Pauline Trigere, Rolex Advertising, Where Did You Get Your Rolex?